Police are appealing for witnesses after a woman got into a car which she believed was a taxi in Chichester, and was sexually assaulted. Sussex Police have now launched an appeal for witnesses to the attack which happened in Chichester in the early hours of Saturday, September 26. 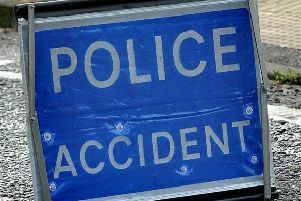 A police spokesman said: “At about 3.30am to 4am that morning a 25-year-old Bognor woman got into a car which she believed was a taxi in Chichester Road near Mccolls newsagents. The car is described as slight grey silver, possibly a MPV type, and had a white number plate with the numbers 1099 or 099 in it. Detective Constable Claire Daysh said: “If you were in the area early that morning and saw anything of what happened, or recognise that car, please contact us via 101@sussex.pnn.police.uk or call 101, quoting serial 88 of 26/09.